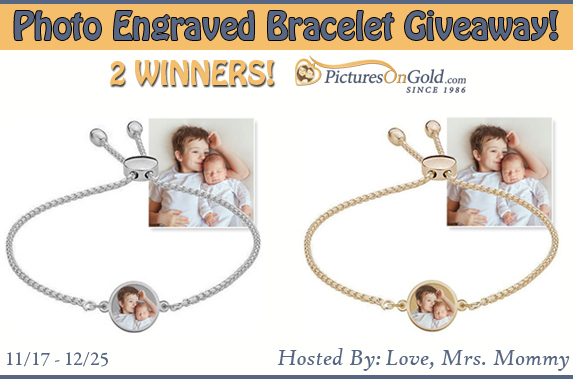 Susie's Reviews and Giveaways: PicturesOnGold.com Jewelry Giveaway! 2 Winners! PicturesOnGold.com Jewelry Giveaway! 2 Winners! This beautiful bracelet is available in Winner's Choice of either Silver or Gold Tone. The photo you want on the bracelet needs to be uploaded to their site to be able to be engraved. (Please do not crop the photo. If you have any specific directions include them in the Special Instructions Box provided).